The American Suspension Bolt on Neck Kit is designed for quick and easy installation with a focus on strength and stability. The full kit includes - Neck, Stem, Trees, Bushings, Fork Caps, and Bearings.
. The mounting system includes several redundant mounts for maximum reliability. It should take less than 10 minutes to install the neck (a few hours to remove and replace the fairing, wheels and handlebar). The specs for a 30 wheel are +9 in the neck and 12 total in the trees. This is similar to what many weld on kits are using and will work great on your Harley Davidson Motorcycle. Cutting and welding your frame permanently changes your motorcycle. This almost always instantly voids your warranty. A bolt-on/bolt-off kit can easily be removed at any time and put back to stock condition. 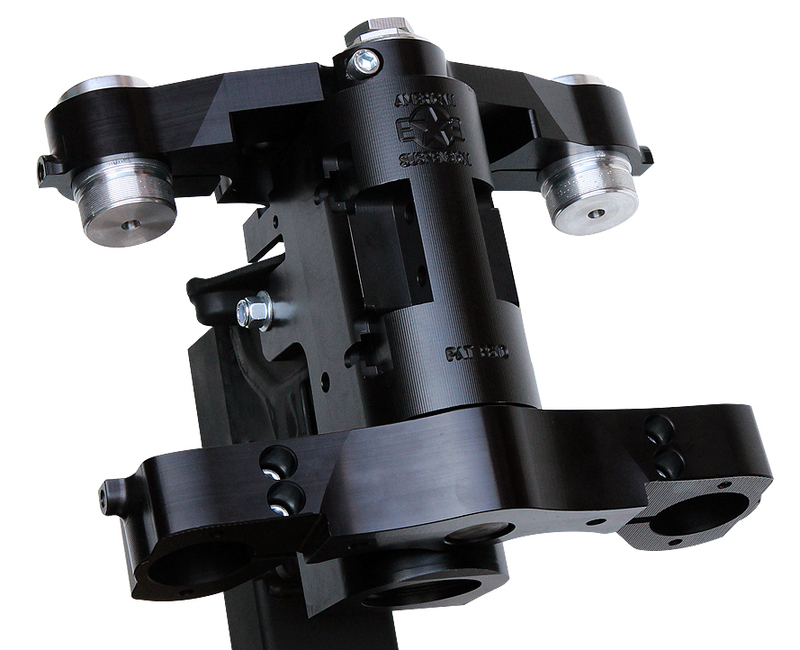 The mounting system includes several redundant mounts for maximum reliability. It should take less than 10 minutes to install the neck (a few hours to remove and replace the fairing, wheels and handlebar).